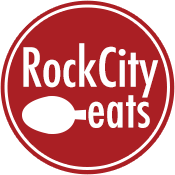 Ever wonder what makes some of Little Rock’s food personalities tick? 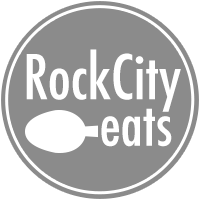 Rock City Eat’s latest series, Food Insider, takes a look at individuals who are helping change the landscape of our city’s culinary scene. Whether they’re in the kitchen, managing a storefront, farming land or running a food truck … we’ll delve into both the professional and personal side of these dynamite people. This week, we feature Chef Gilbert M. Alaquinez, Jr. of Forty Two. Where are you from and how long have you been in Arkansas? May 5 was my 10 year anniversary – I moved up here from San Antonio, Texas where I was born and raised. How did you end up at Forty Two? I have no real formal training, and I didn’t go to culinary school. I pretty much started as a dishwasher in my uncle’s restaurant. It’s kind of the school of hard knocks. … I’ve been at Forty Two almost two years in November. I actually came from the Governor’s Mansion where I was for five years. At the Governor’s Mansion, they asked, “Where did you go to school?” and I would say I didn’t, and they’d ask, “How did you get this job?” My resume is pretty good and I worked really hard, but my experiences have been great and I can’t complain. Can you describe the restaurant for someone who hasn’t been in yet? Personally, I think we have the best views out of any restaurant because we are the only venue on the river exactly like this. It’s open and modern. I love the openness and seeing the river pretty much everyday. In terms of food, the restaurant is more modern southern, modern Delta, but as far as catering goes, there’s a wide range. What has been one of the challenges of working at Forty Two? A lot of people are confused when I say I work at Forty Two, because a lot of people don’t even know we have a restaurant downstairs. At Forty Two you have to go through security to come in, so it’s a big deal for us that customers actually take the time, because they have to park all the way out in left field, go through a metal detector and actually come have lunch. But they still do and we have regulars that come all the time, and it’s pretty awesome that even though they have trouble getting here, they’ll make the trip. What’s your favorite part of a day on the job at Forty Two? One thing I enjoy is picking our eggplants, tomatoes and herbs from our custom garden which wraps around our patio. I also think it’s great that we are both a restaurant and a catering business. Plus, we always have a fun time when Clinton comes to visit. … I’ve personally cooked for Chelsea, I’ve personally cooked for Bill, which is pretty awesome. We never know if we’re going to have a pop-up for 100 people, but it’s a different challenge every day and that makes it fun. What’s your favorite thing to cook in general and at Forty Two? I actually really, really enjoy baking bread. Stephen does ask me to do a lot of the breads, but if I had to pick a cuisine, it would probably be French. I love the classic French cooking. I always try to bring the old dinosaurs back and try to reinvent them. What do you think about the local food scene? When I first got up here, it was mainly a bunch of chain restaurants. I think in the last five years it’s really blown up, especially when Lee Richardson left the Capital Hotel, all his people from there went and spread out with their own projects and it’s exciting. You have some people that ask, “Why is this hamburger $13 when I can go to McDonald’s?” And people who appreciate it know this is local grown beef, local bread, everything’s from a garden … it’s a process for everyone to work on accepting that. If you want everything to be local and organic and really, really good, you have to pay for it. You have to help the local farmers. I’m loving that people in general are getting more of an education on where their food comes from. 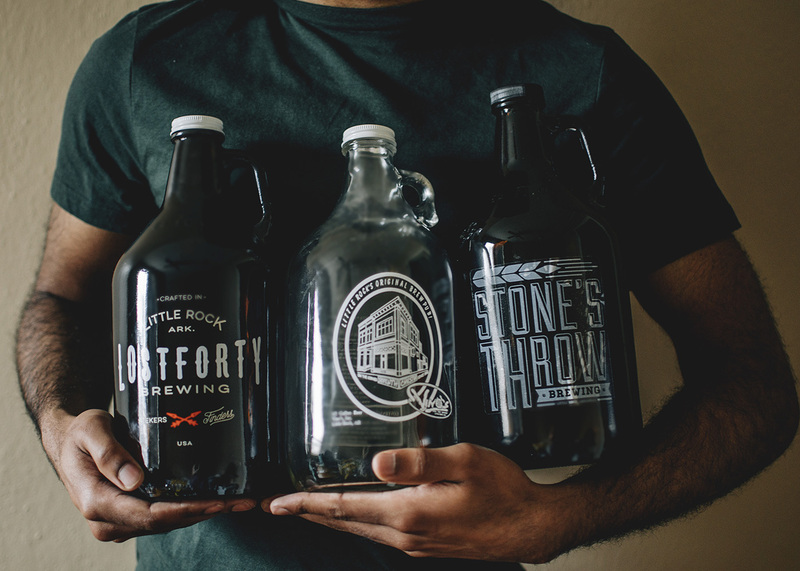 What does Little Rock need more of? I think Little Rock needs breakfast tacos. I think Scott McGhee might have heard me on this one. I see people doing it for brunch, you can call them breakfast tacos, but they’re not what someone from Texas is used to. What is Little Rock doing right? All the craft beer that’s been popping up is great. Lost Forty has been doing some awesome work. What’s your favorite food to get back home? The Tex-Mex that I get here is pretty close to what I get there, but the hole in the walls in San Antonio – there’s this place called Taco Haven that I’ll definitely be hitting up when I head back. I go canoeing, camping, cycling, hiking, fishing – anything outside. It’s been fun, I’ve even brought my brother up to do a couple of float trips up on the Buffalo. I’m pretty serious about cycling, though, and I’ve been doing it for seven years now.